If you have already read our handy guide to identify your plumbing system you will be aware that an electric shower will only work on a cold mains plumbing system, but what if you have low pressure? Can you still us an electric shower? The answer to this question is yes, most modern electric showers are designed to work with a cold mains system with low pressure, however there are some exceptions to the rule, if you have a cold mains plumbing system with very low or fluctuating pressure you may want to consider a pumped electric shower. In principle they are the same shower type however as the name suggests a pumped electric shower features a built in pump for increasing the pressure in your system. Can we recommend an electric shower? We are often asked by our customers if we can recommend an electric shower for their plumbing system, the answer again is yes. Below you will find a range of our best-selling and highest performing electric showers, they will all be suitable for your cold mains plumbing system so all you will need to decide is which design and cable and water entry points work best for you. 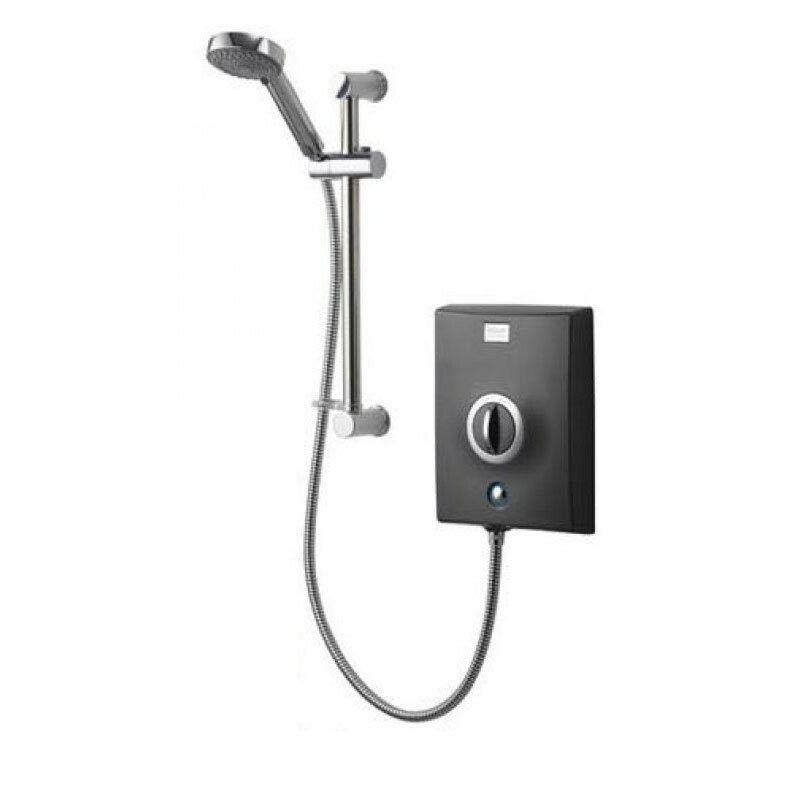 The Aqualisa Quartz electric shower is available in a choice of kW options to suit any household, they also feature a choice of colour finishes. The Quartz shower by Aqualisa is very simple to use and comes supplied with an adjustable height Harmony showerhead with 5 luxurious spray patterns, it also features an impressive temperature protection system which reduces the risk of scalding. 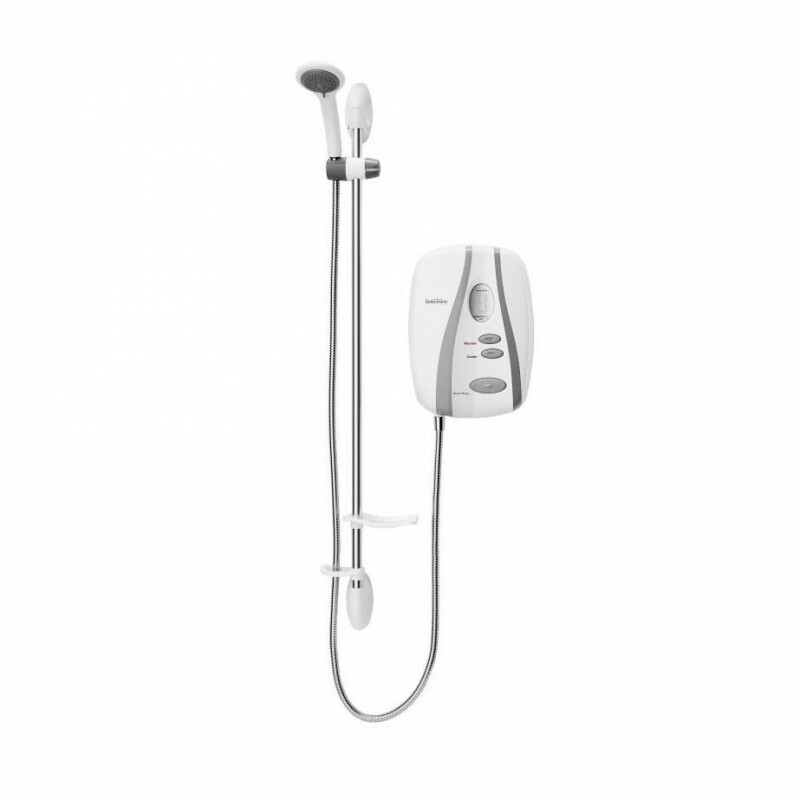 This high quality electric shower is one of our best sellers and a customer favourite due to its stylish appearance, premium features and slimline design. The Aqualisa Vitalise S is another of our big sellers, the Vitalise S is easy to fit with a vast choice of water entry points and also a choice of two colours. 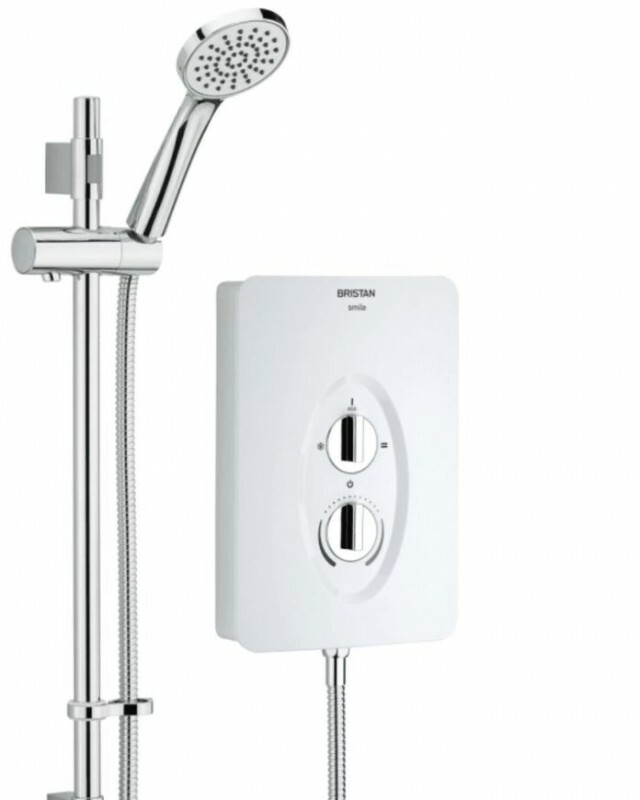 The Vitalise by Aqualisa is supplied complete with an impressive 3 mode showerhead with easy clean nozzles and 4 heat settings as well as easy to use rotary controls. The Bristan Smile 2 electric shower is available in a range of kW ratings to suit any bathroom setting, this modern electric shower features separate power and temperature controls, an adjustable riser rail and a single mode rub clean handset. This is one of our lower priced electric showers starting from as low as £86.00 and provides excellent value for money. 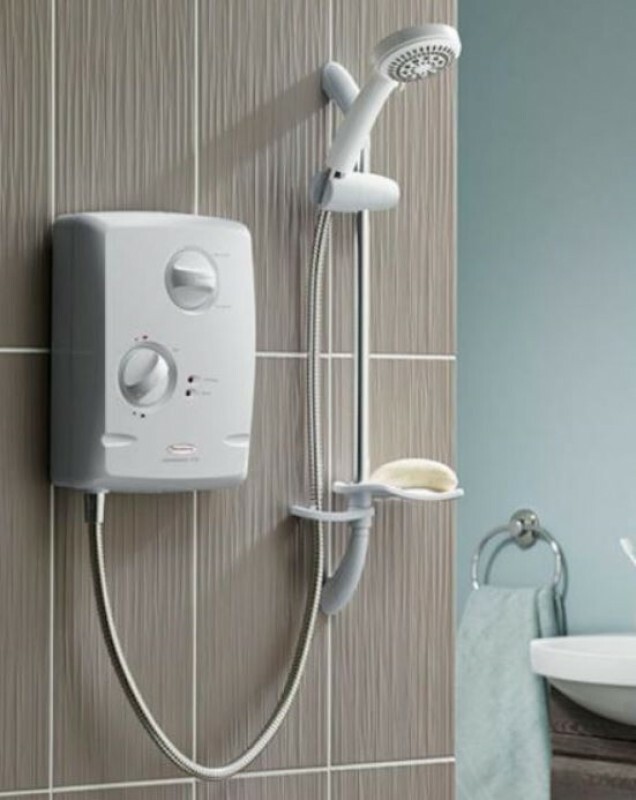 The Redring Selectronic is our number 1 electric shower when it comes to safety, featuring an ingenious temperature lock mode, audible feedback, tactile buttons and a luxurious 6 mode rub clean handset. What is a pumped electric shower? And what do we recommend? Pumped electric showers are in essence the same as an electric shower, they both require a cold mains plumbing system and look very similar in design. The difference lies internally with a pumped electric shower featuring an integral pump for boosting very low or fluctuating water pressures. We recommend the following pumped electric showers, we have chosen these due to their reliability and features, and they are also favourites with our existing customers and tradesmen. 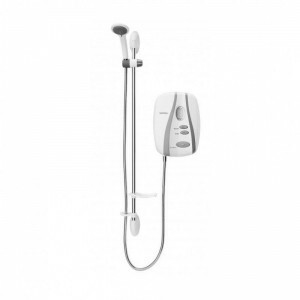 The Redring Expressions 570 pumped electric shower is very popular with our customers, this spectacular shower unit is supplied complete with handset, flex, soap dish and a slide rail kit. The Redring Expressions 570 features overheat protection and a simple to use rotary control.